Compare prices from several car hire companies in Elche and find the best price for car rental. Our prices always include unlimited mileage and insurance. Elche is located about 20 km from the Spanish coast and the Mediterranean. 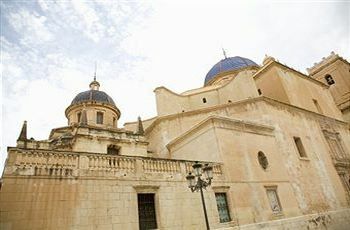 The city belongs to the Valencia region, and the popular resort town of Alicante is approx. 25 km northeast of Elche. With a population of 230 000 (2009) Elche is the twentieth largest city in Spain. El Palmeral is a large palm grove which is located in and around Elche, and this is one of the largest palm groves in the world. Dates grow on palm trees, and these are picked in December and exported. In addition to the palm grove of Elche deadlines including the Basilica of Santa María de Elche and the Alcázar de la Señoría from the Middle Ages. Elche is only 10 km west of Alicante Airport, also called El Altet.This is the 6 largest airport in Spain.